« Why have a foreclosure home Inspection? 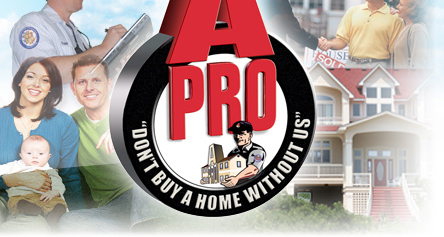 This home inspection checklist is compliments of A-Pro® as to provide an general idea /illustration of the structural and mechanical components involved in a home inspection. It is not intended to replace a home inspection or a home inspection report prepared by a professional home inspector. This entry was posted on Wednesday, August 8th, 2012 at 2:02 pm	and is filed under Top Salt Lake City Real Estate Agents. You can follow any responses to this entry through the RSS 2.0 feed. Both comments and pings are currently closed.